CREATE hand-written or hand-drawn Doceri projects on your iPad, using sophisticated drawing tools and the innovative Doceri Timeline. 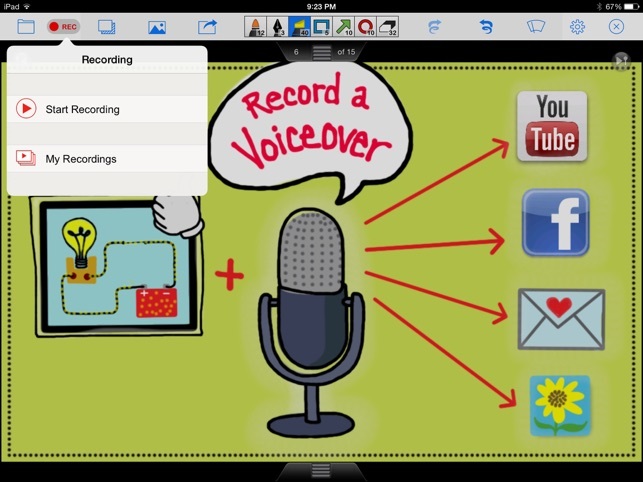 Unlike other drawing and screencast apps, Doceri uses timeline-based editing so original lessons are always saved, even after a screencast recording is created. All drawing strokes, photos or hand-drawn objects can be cut, pasted or resized at any point in the timeline. 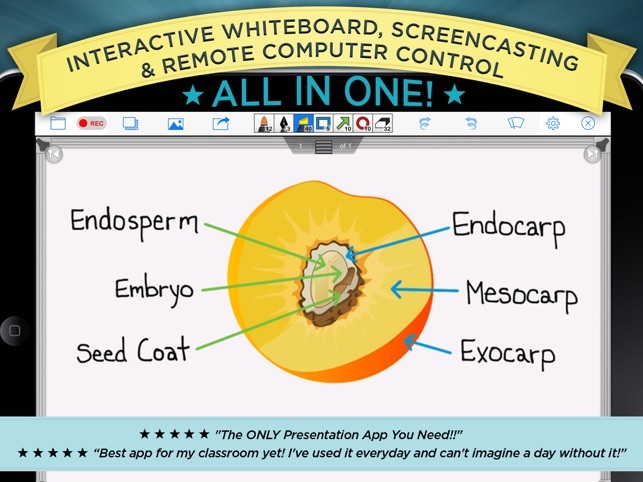 This enables easy creation and reuse of engaging presentations and high-quality, flipped classroom screencasts. CONTROL a computer through your iPad. When connected wirelessly to a classroom computer via our Doceri Desktop software, you can access and control any program or file on your desktop. 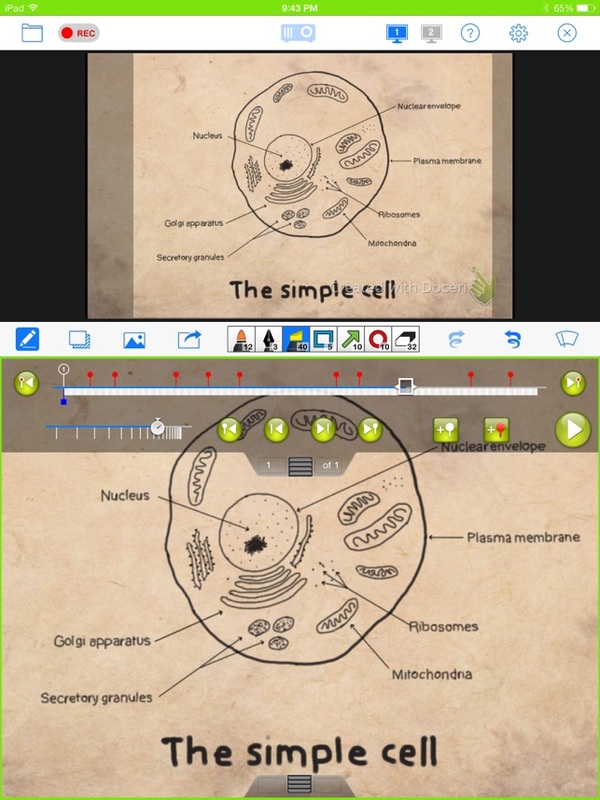 Access all of your pedagogical materials through your tablet – even play flash video through your iPad. Download Doceri Desktop software at www.Doceri.com. You can also control your classroom AV system from the iPad with SP Controls’ AV Control Systems. 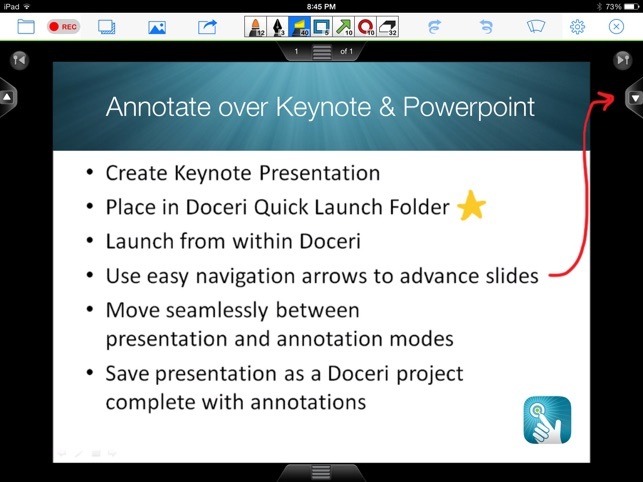 PRESENT anything from your Mac or PC connected to a projector, using Doceri Desktop software. Present without a computer through Doceri’s special support for Apple TV. Your audience sees only the presentation area of your Doceri screen - not the tool bars or rotations. SHARE images, PDFs and videos any way you’d like. Rather than requiring login to a proprietary web site, Doceri lessons can be saved to your Camera Roll or shared via other apps you have installed on your iPad, so you can upload to your Web site, LMS or other platform of your choice. Share your images and video screencasts directly to YouTube, Twitter or Facebook from within the app. 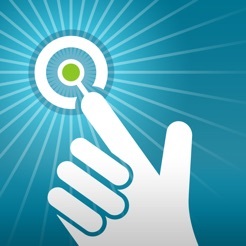 TRY BEFORE YOU BUY with this fully-featured free app. We’ve created Doceri with a watermark that will be added to the images, PDFs and screencast videos that you share. You can remove or customize this watermark with an in app purchase - we believe that you should be able to try all of Doceri's features before you decide to purchase and support our work via the watermark removal. 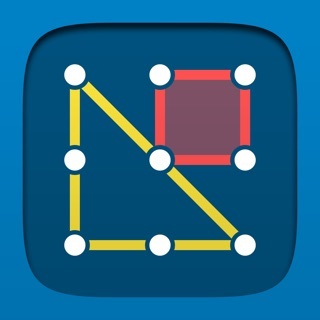 Doceri has consistently received an average of 4½ stars on the iTunes App Store. 94% of Doceri teachers surveyed in May 2013 saw an improvement in classroom management since beginning to use Doceri, because they can teach while moving around among their students to keep them on task. YouTube upload and minor bugs fixed. Update. Issue still not fixed. I can’t connect to Doceri desktop. I can do it with an older version iPad but not my iPad Pro. Please help. The school bought a license that I can’t even use. I absolutely love this app. I even purchased the license for the desktop. However, I am having issues using the app with my brand new iPad Pro. It has become an inconvenience while teaching. I am unable to add a photo from my library. I have given the app permission to access photos. it allows me to go as far as selecting the photo but then it never appears on the screen. I am having to take photos of paper just to display on the board. The app continues to crash while I am teaching and it also won’t allow me to write at times. I’m usually having to wait a minute before I can write again. Update: I still love Doceri and use it everyday. I have built multiple online courses using this app. It is stable and never crashes on me, which is worth a lot. But I have to say that in all the years I have been using this app, no new features have been added. We could really use a typing tool, guys! It’s time for some new stuff! 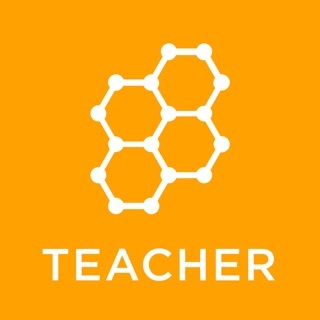 Original: This app has changed the way I teach. I have about 75% of my lectures posted online now for absent students or those who need extra help. It's super easy to use once you learn it. It has totally replaced my Smartpen. Doceri is probably one of the best whiteboard app for the lectures. First you don’t need Doceri Desktop (yes you will not be able to move freely without yet). The reason why this is a killer app for lectures is because it has a timeline. The timeline allows you to pause the lecture at any point, thus allowing you to explain the concept. Yes, there are many things this program needs and I hope Doceri is moving forward in making this program better.